FOR the human half of a seeing-eye dog team, there are two scary things in life. The first is the sound of screeching car brakes. The second is the sound of an aggressive dog. Dog attacks on seeing-eye dogs are a major problem, with three guide dogs attacked every month by pet dogs, according to new research released by Guide Dogs Australia. 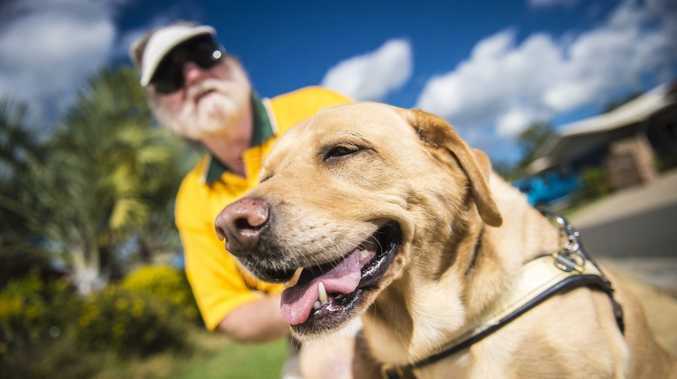 "Guide dogs play a vital role in enabling people who are blind or vision impaired to get around independently," Guide Dogs Queensland CEO Chris Laine said. "Attacks compromise this independence and can cause serious injury and trauma to both the handler and the guide dog," she said. 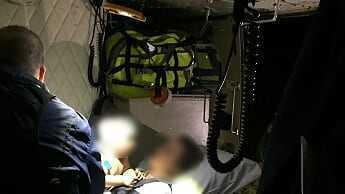 In serious cases, which are rare, attacks can cause guide dogs to be retired. Training each guide dog costs more than $30,000, so this is a big problem for the organisation and the cause. Sun Valley resident Dave Byars, whose degenerative eye disease means his eyesight is now reduced to three per cent, said his guide dog Queeny was everything to him. "She's my life. I live alone and she has my total trust, and she totally trusts me. She's very intelligent, a very good decision maker," he said. Her loss would be devastating. While Mr Byars has been fortunate and says Gladstone is a safe place, he knows of guide dogs who have died as a result of attacks from other dogs. "I know one person who had to let their dog go and fend for herself (against another dog). It ran on the road and was killed by a car," he said. Mr Byars and Queeny are a well known pair as the only guide dog team in Gladstone. "It's quite a process to match a client with a dog and I have to say, we are a perfect match," he said. Mr Byars feels safe in Gladstone, where people are usually courteous and considerate of his needs. But occasionally aggressive dogs approach Queeny. "There are dogs off lead, and they're very much a distraction," he said. "I'm very glad I haven't had a savage attack because that would be terrifying. It just shakes your confidence when dogs come up to you."